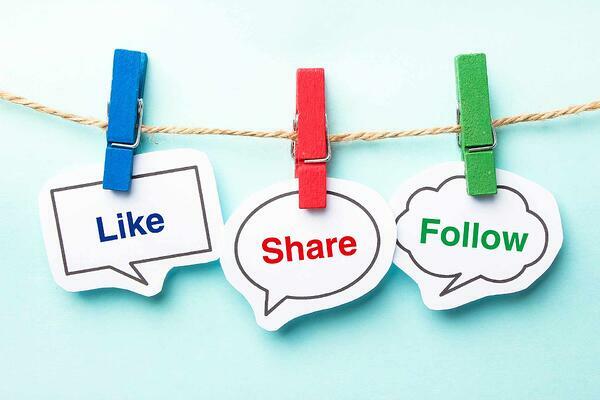 If you've read my blog on sharing content from a LinkedIn company page, then you should already understand the basic mechanics of how to like and share content. But what happens when you actually perform these actions? Is one way better than the other? My short answer is that I ask the team at TSL to do both when we're trying to promote content on LinkedIn. Let's take a quick dive into what happens when you like or share — and why I ask the TSL team to do both. 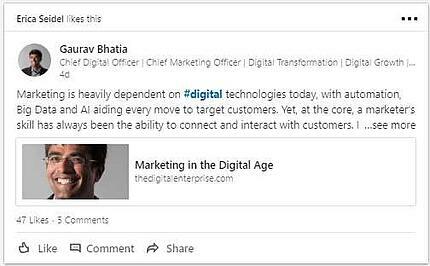 The most very basic way that I can explain how your LinkedIn feed is determined is this: LinkedIn wants to show content to its users that is high-quality and applicable to their interests. Likes, shares, and comments act as signals to LinkedIn that content is good. To understand how LinkedIn determines what's in your feed, check out the Hootsuite article "How the LinkedIn algorithm works." Let's examine what likes and shares look like, how they're similar, and how they behave differently in your LinkedIn news feed. One of the biggest differences between a like and a share is that with a like, you are passing along your approval without comment. With a share, you have the ability to give your own comment and to even @mention people you want to see the post. When content is only liked, you don't have the ability to pass along any comments. As you can see, these appear similar. But in the share, a comment is passed along with the post. This allows the person sharing to @mention someone, such as in the example above, in which the author of the piece receives a shout-out. It also lets you add your thoughts on the article that you're sharing: why someone should read the article, your general opinion on the piece, why you found it helpful, etc. To Like or to Share? So which is better? I'd say it depends on your goals. 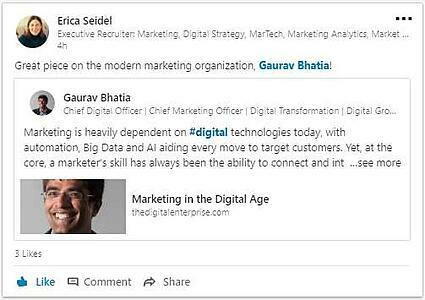 To extend our marketing reach, I certainly encourage the TSL team to both like and share any content that we're trying to promote on LinkedIn. Both activities send social signals to the LinkedIn algorithm that the content has passed at least one user's approval. 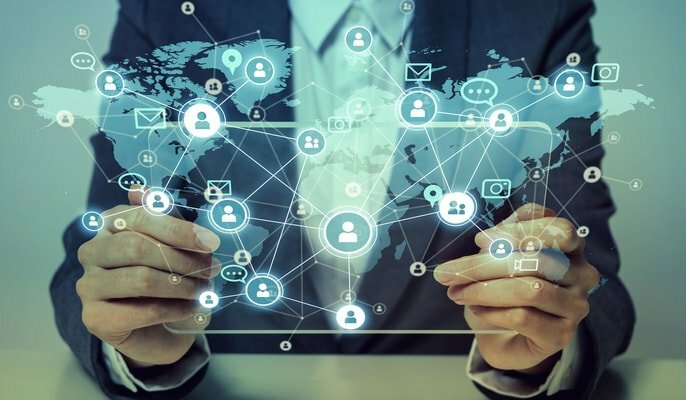 But the actions aren't just for the algorithm — the people seeing the liked and shared posts will see social media proof that what was passed along was deemed worthy by at least one of their network connections. 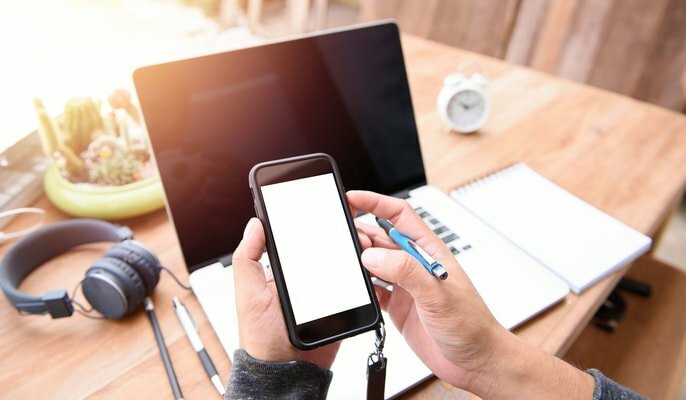 Have other questions about social media marketing? Feel free to connect with me on LinkedIn or comment. Your question might be used as a future article on the TSL Marketing blog. Want your content to get further faster? Learn more about our B2B Digital Advertising Services.